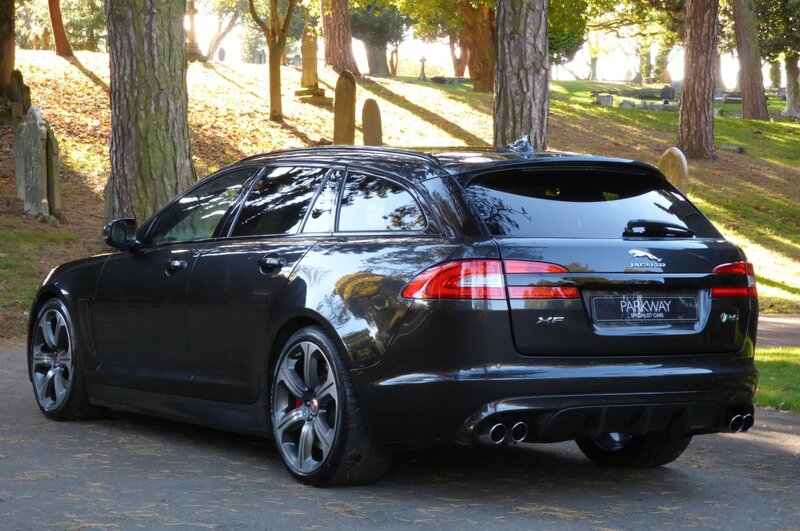 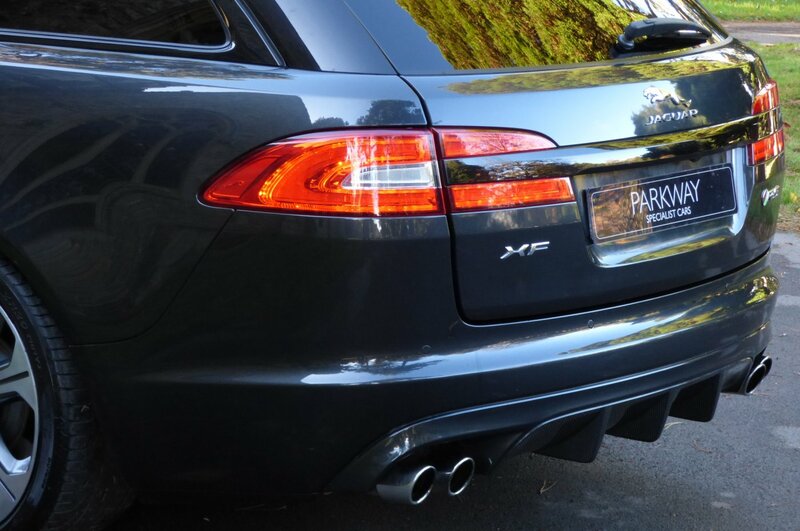 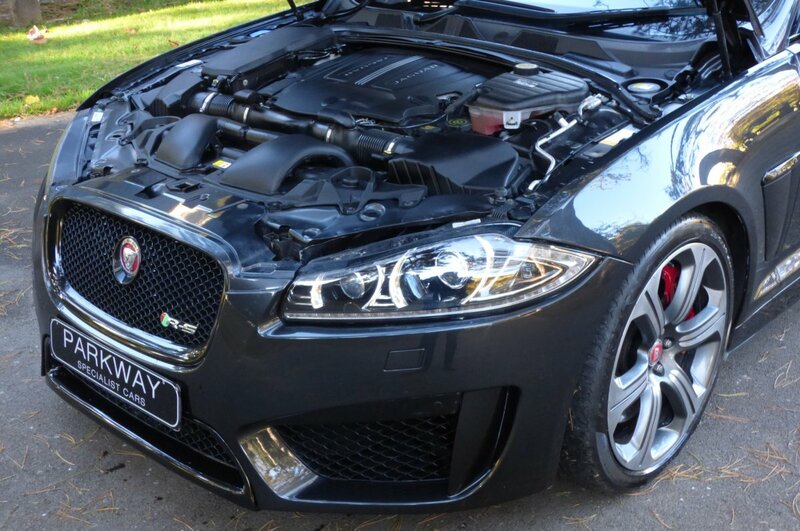 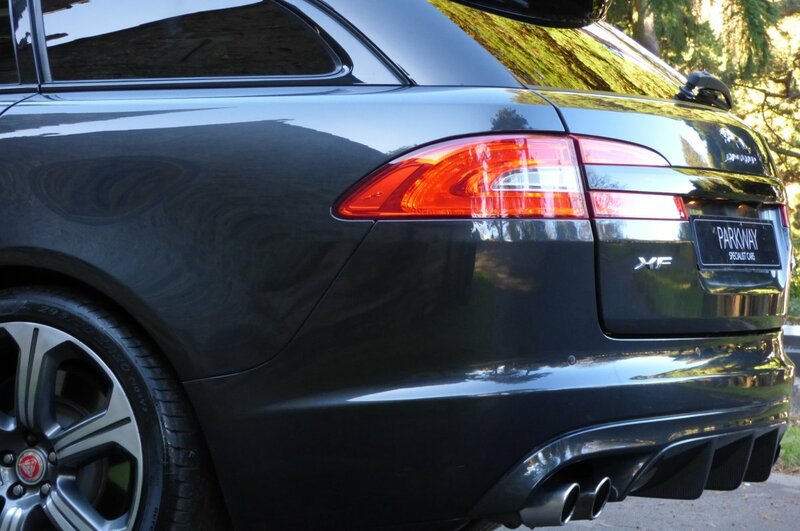 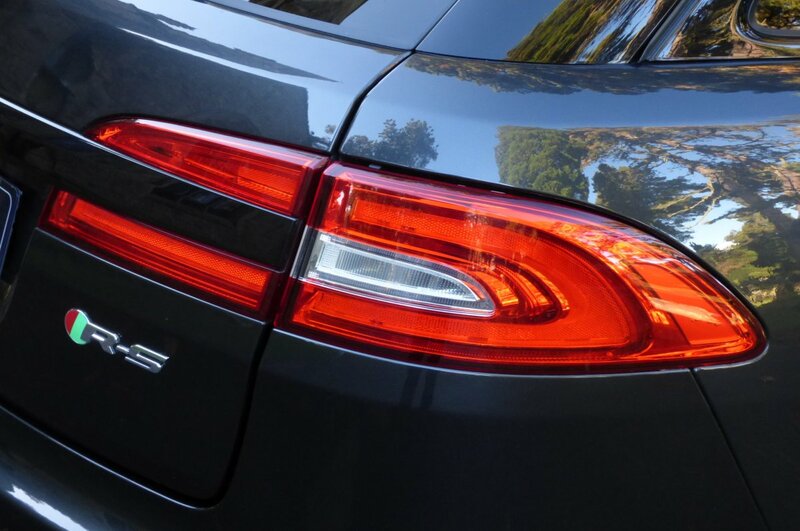 The First Generation Jaguar XF Or The X250, Made Its World Debut In The Autumn Of 2007 At The Frankfurt Motor Show, With This New Model To Replace The Then Dated Jaguar S Type. 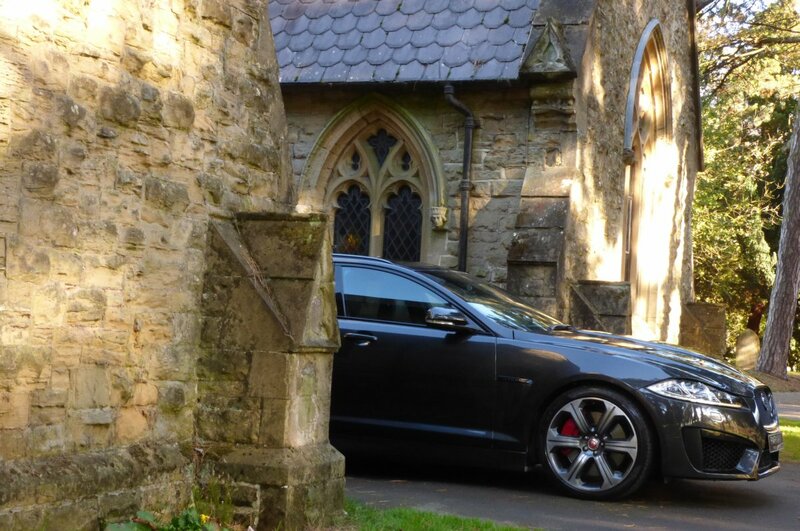 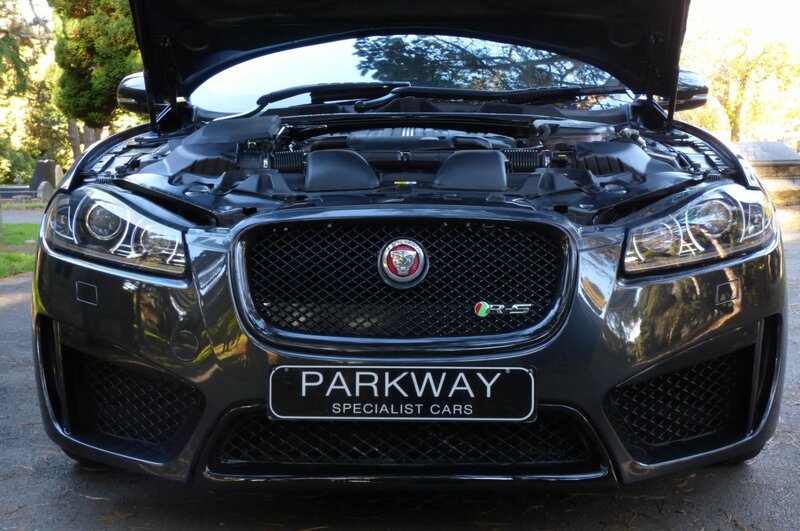 Designed By Jaguar's Design Director Ian Callum And Built At Castle Bromwich Assembly Facility In Birmingham, This New Model Was To Bring New Clients From Around The Globe Into The Much Loved Jaguar Family. 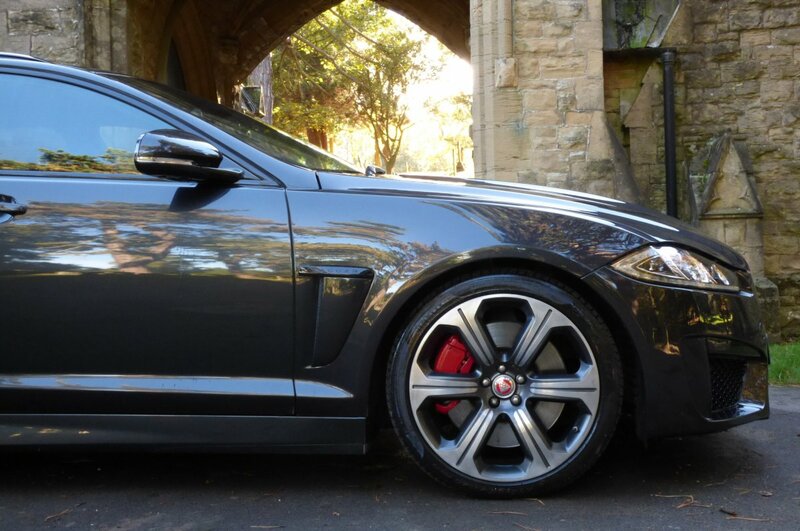 During The Time Since The Very Start Of The Jaguar XF Launch, There Has Been Many Versions To This Elegant Model, But In Middle Of 2012 The Jaguar Car Plant Introduced The Mighty Jaguar XFR-S As Part Of The Company's Model Line Up, With The First Car To Be Showcased At The Los Angeles Auto Show And Was Designed To Take On The Germans, Matched Perfectly Against The BMW M Product And The Mercedes E63 AMG. 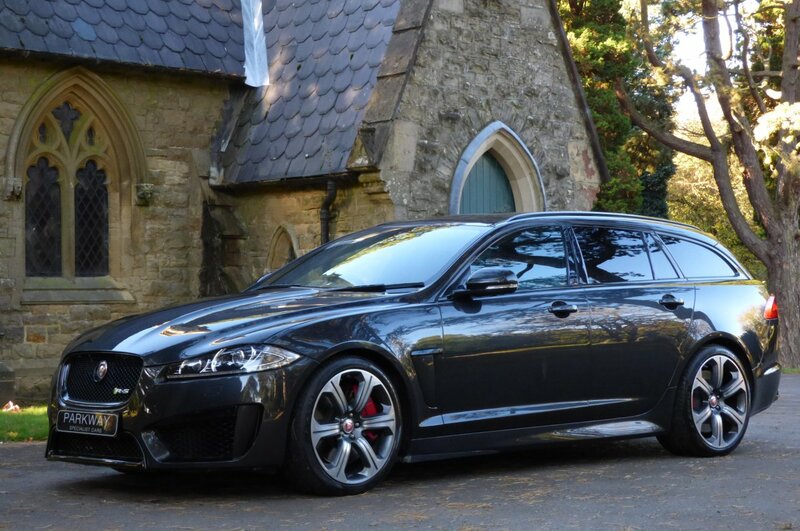 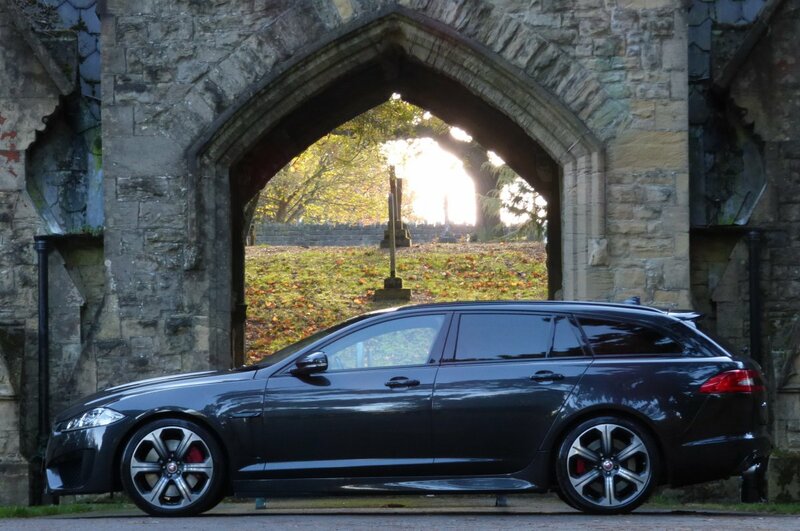 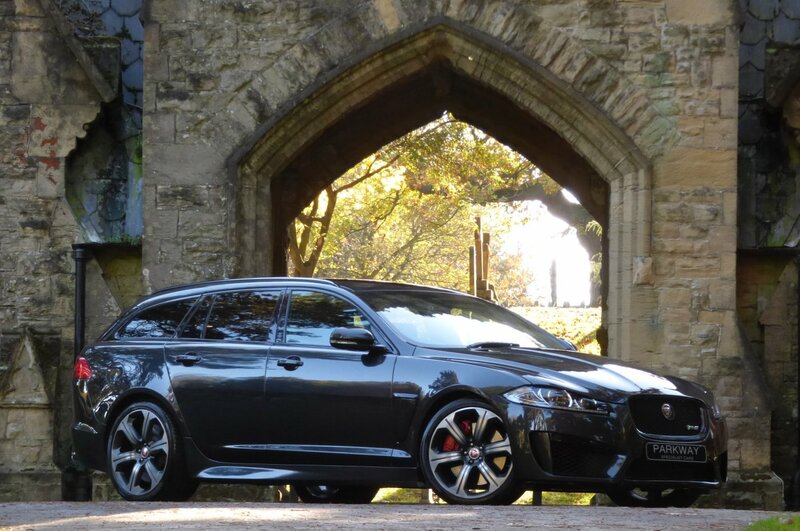 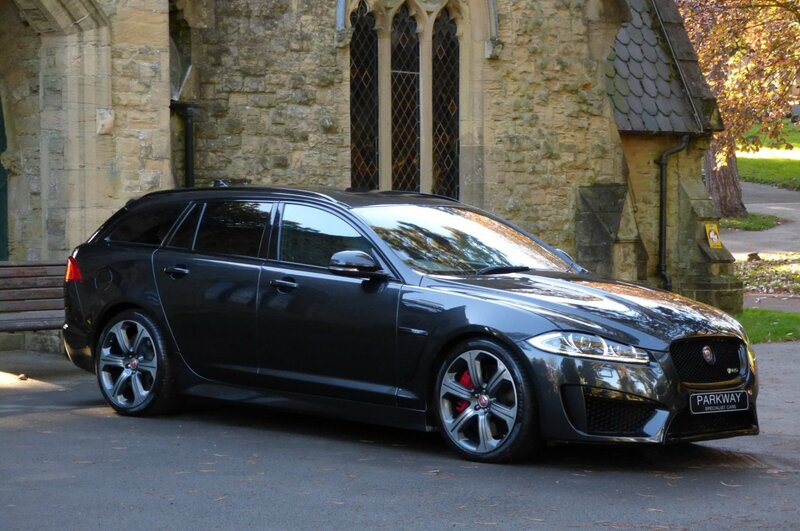 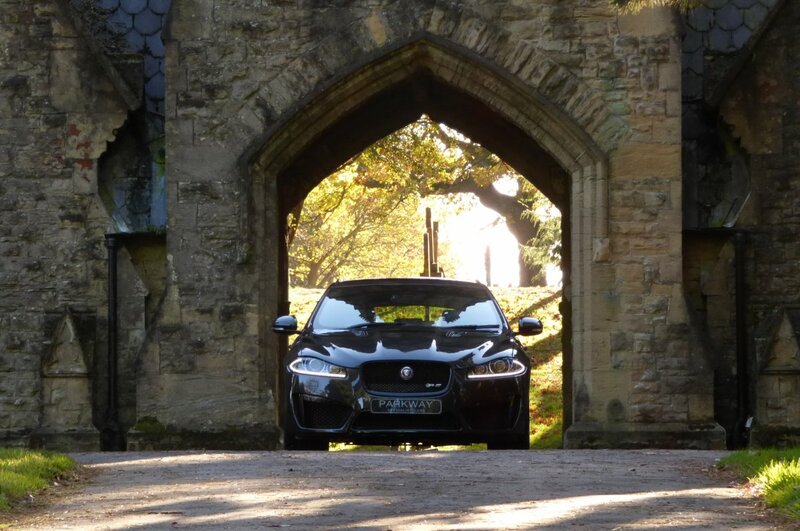 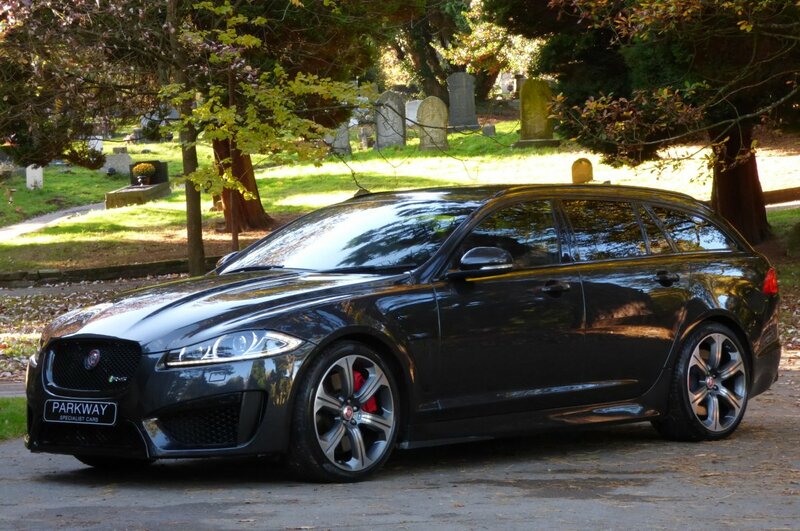 The XFR-S Was To Be The Most Powerful, Most Agile Production Sports Vehicle Ever Created By Jaguar Car Manufacture And Builds On The Performance Of The XFR To Create A Car That Is Even More Driver Focused. 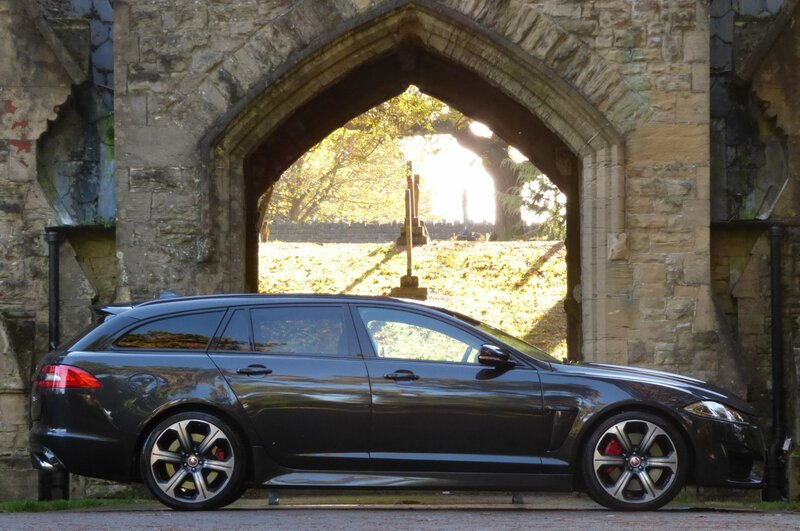 Fitted With The Huge Five Litre V8 Super Charged Petrol Engine, That Would Generate A Massive 550 Brake Horse Power With 502lb-ft Of Torque, Meaning That The Car Would Accelerate Both Driver, Passengers And A Brace Of Dogs From 0-62MPH In An Astonishing 4.4 Seconds, Would Further Glide To An Awe Inspiring Limited Top Speed Of 186 MPH And Was All Perfectly Controlled By The Eight Speed Quick Shift Automatic Transmission. 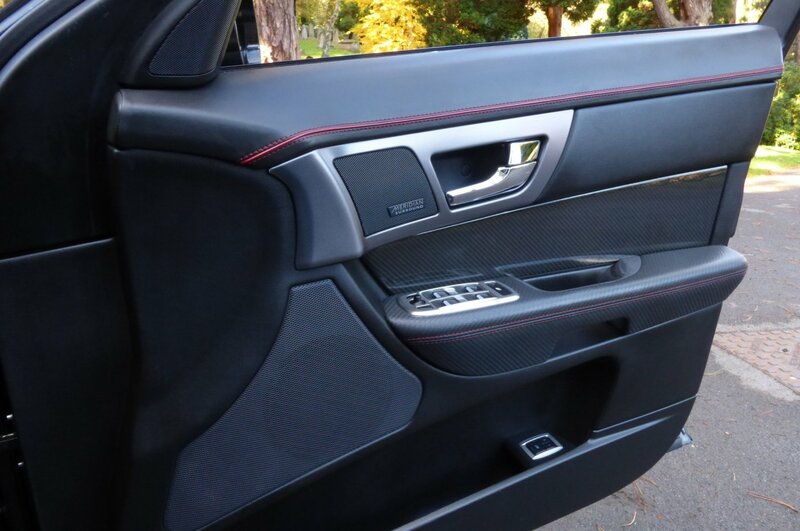 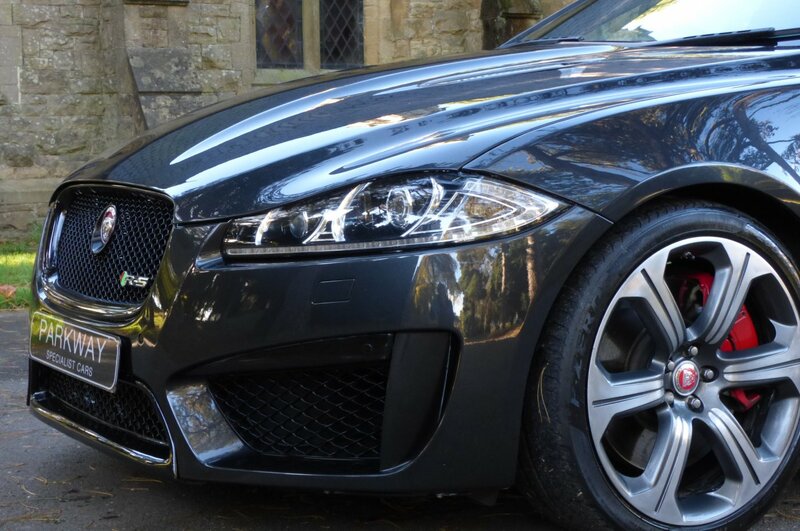 The XFR-S Has The Bold, Assertive Looks Too With Honed, Sleeker Aerodynamic Lines And Super Strong, Lightweight Carbon Fibre Details, Including The Lower Grille Surround, Front Valance And Rear Valance, That All Looks Stunning, But Actually Reduces Lift By 68 Percent. 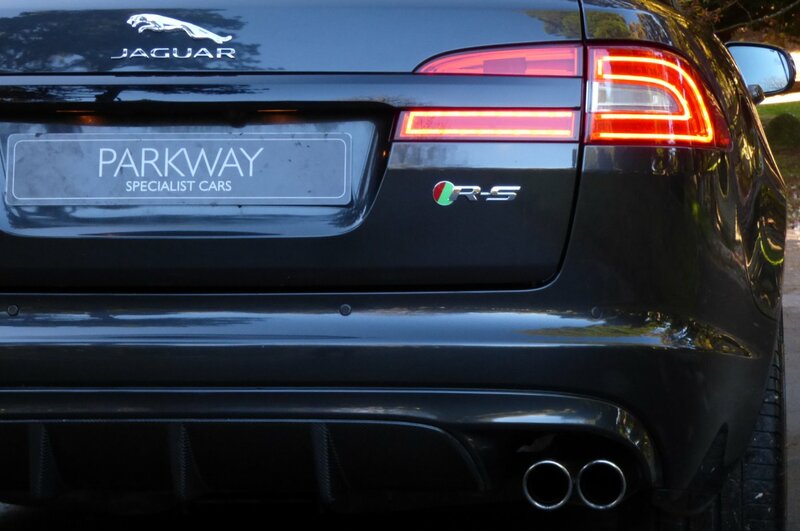 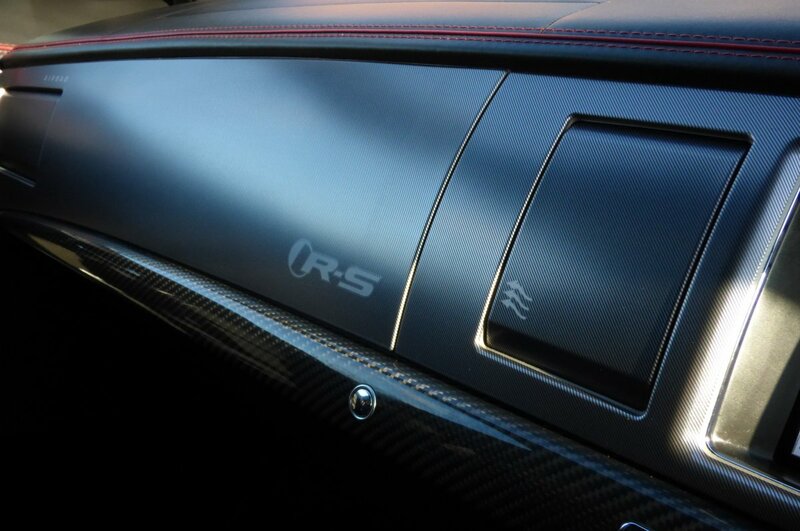 It Also Has Its Own Throaty, Signature Sound From A Bespoke R-S Sports Exhaust System, That Would Come Alive On The Initial Start Up And Would Further Increase During Acceleration. 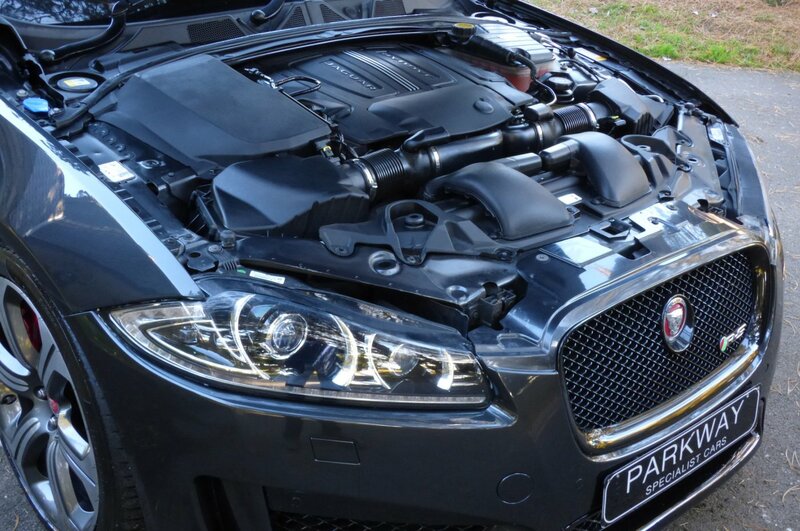 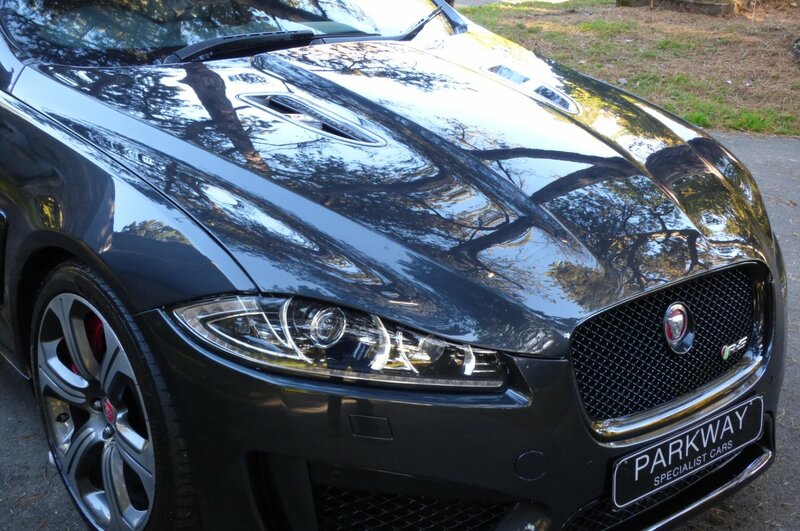 This Striking Example Was First Supplied By Paragon Jaguar In The April Of 2014 And Since This Date Of First Registration Has Only Has The Three Keepers, With The Last Taking Charge In The December Of 2016. 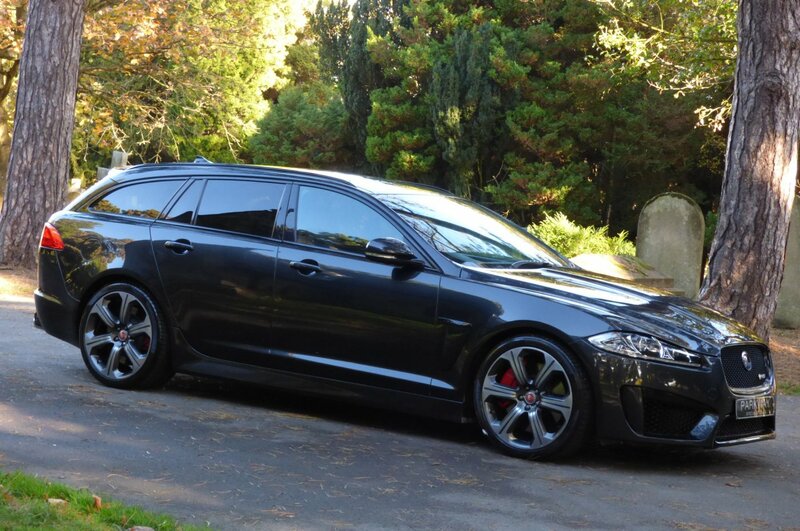 Over The Last Four And A Half Years Chassis Number FMU34230 Has Only Had A Mere 35688 Miles Applied, To Which If We Break This Down Is Approximately Just 7950 Miles Per Annum, However Regardless Of This Current Mileage Reading This Beast Has Been Maintained Both By Jaguar & Specialist Service Centres With Past Historical Service Visits Logged At 12124, 12467, 20897, 33952 & 35750 Miles, With The Last Completed By Our Own Dedicated Workshops In The October Of 2018.  Once Sold This Staggeringly Rare Example Will Be Presented To The Next Lucky Custodian With The Entire Booklet Pack Set, All The Past Service Prints, A Fully Cleared Hpi Certificate, A Complete Key Set And The Original Factory Build Card Listing All Those High End Options Opted For From New, Which Is All In Place For That Next Keeper To Enjoy And Cherish During Their Own Time Of Enjoyable Ownership. 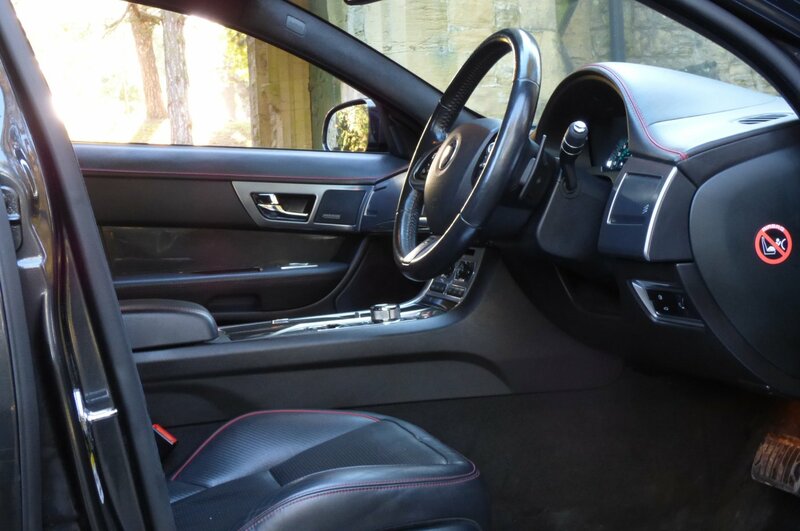 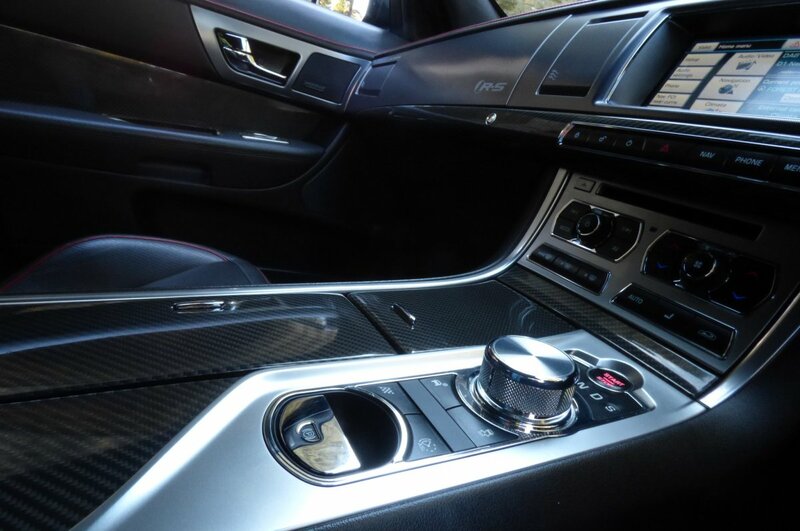 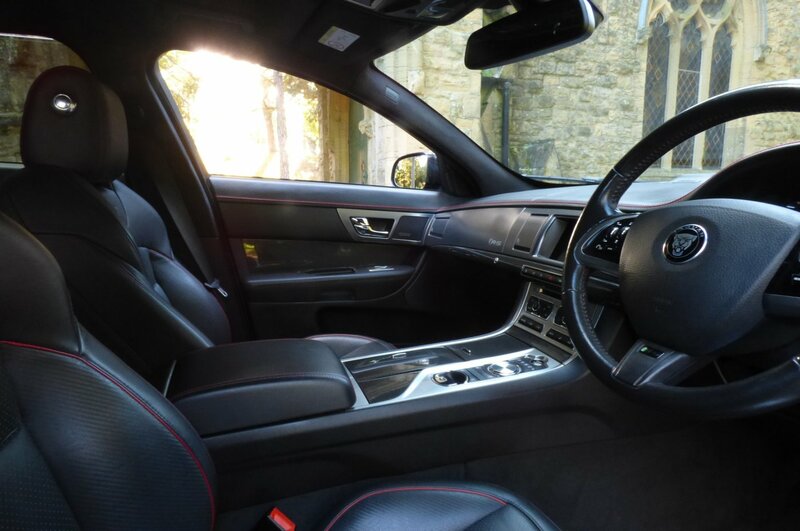 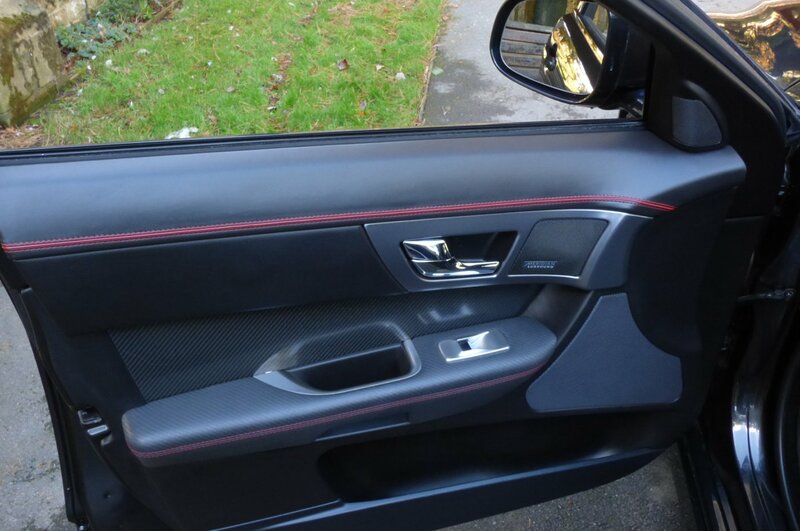 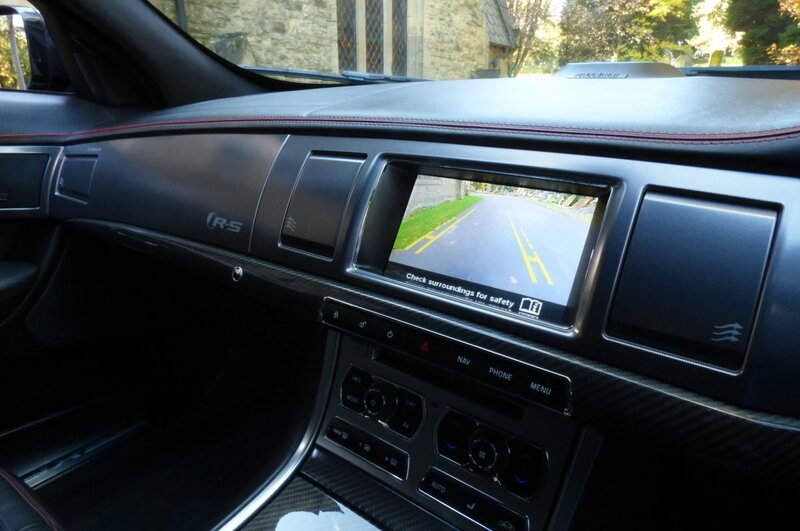 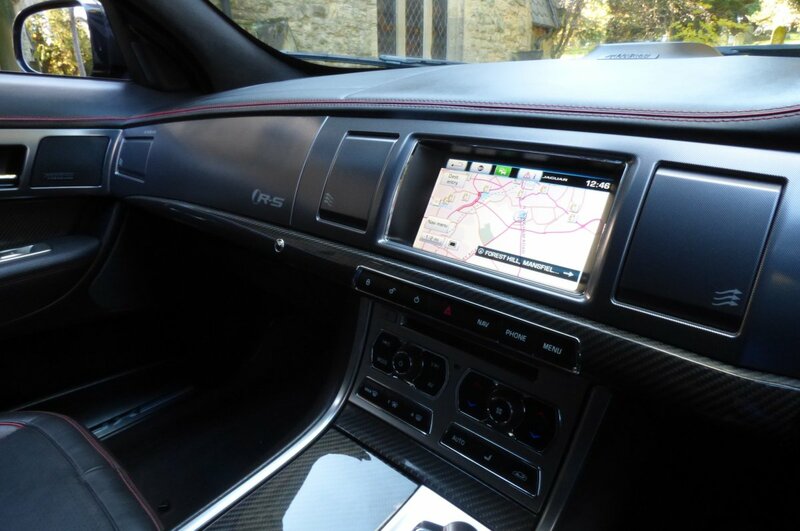 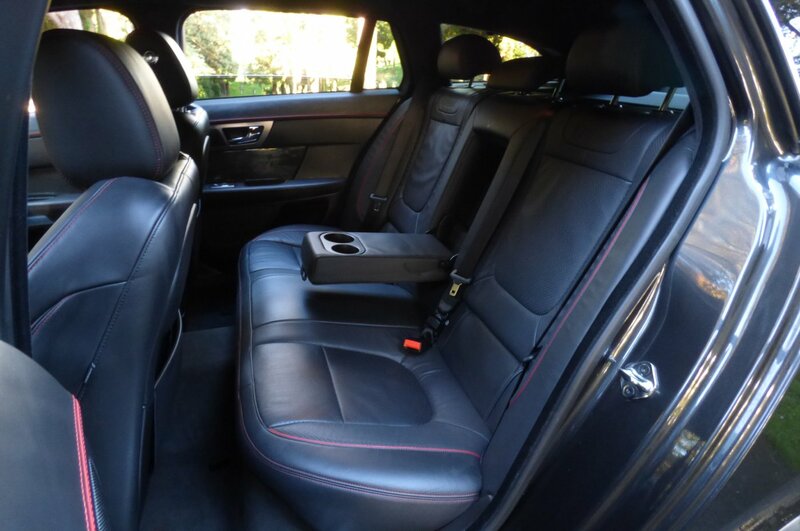 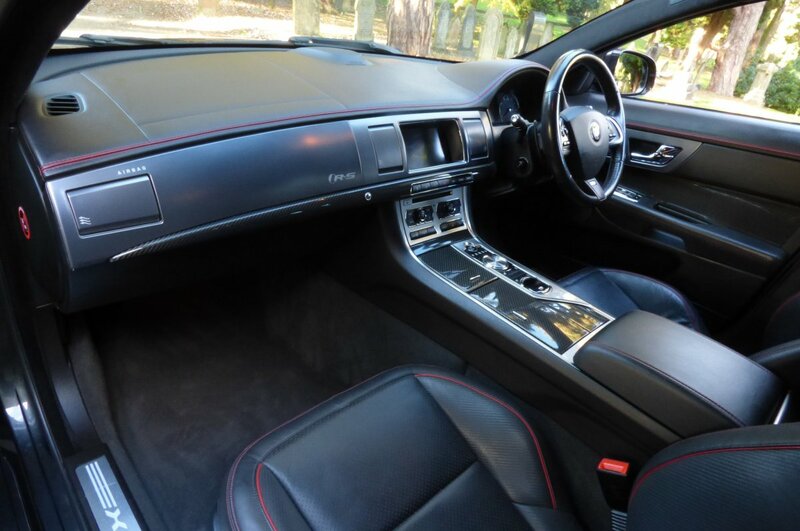 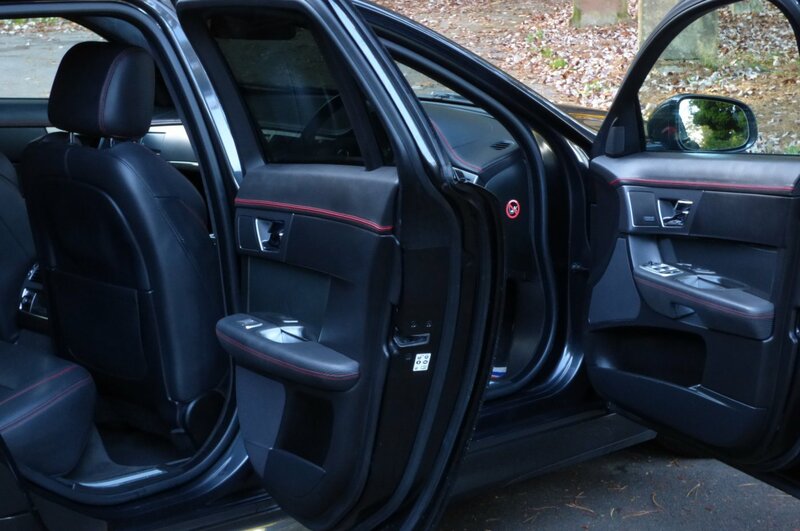 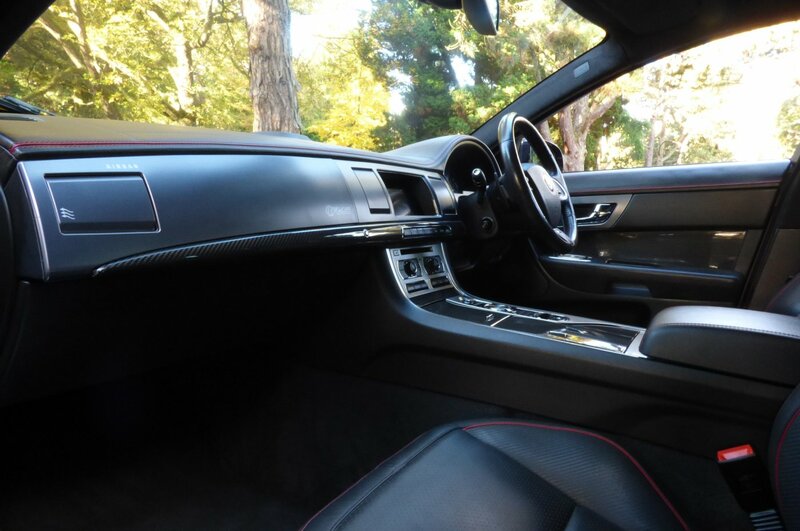 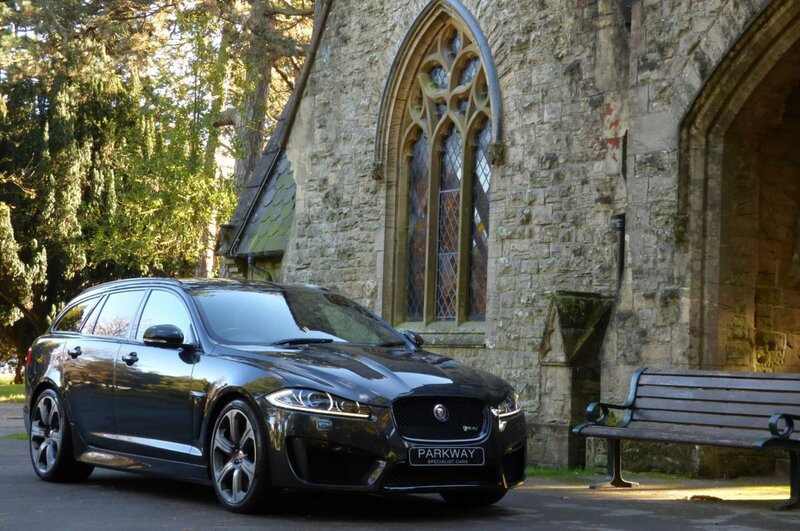 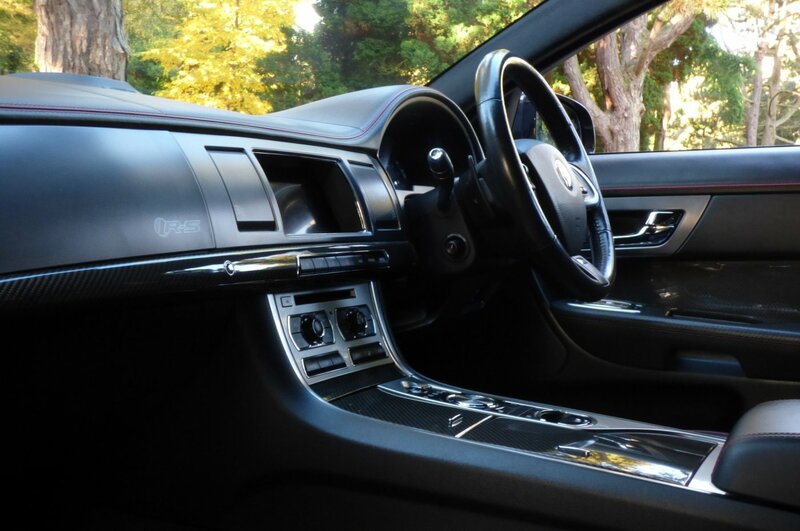 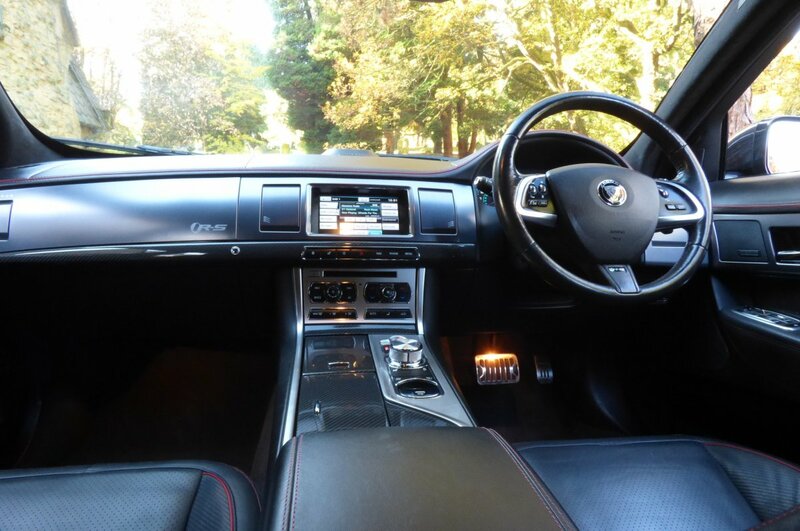 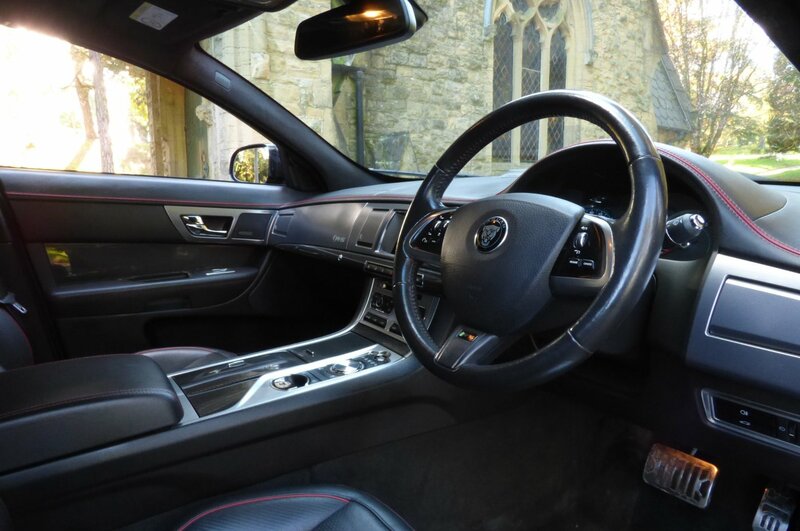 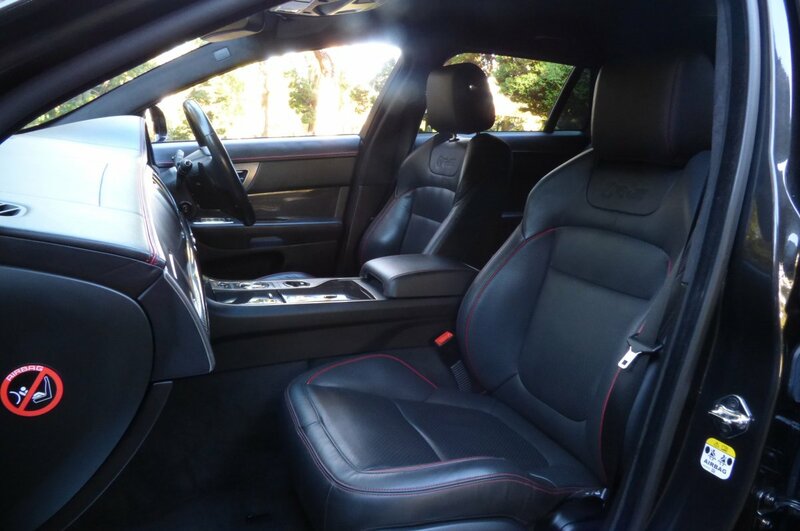 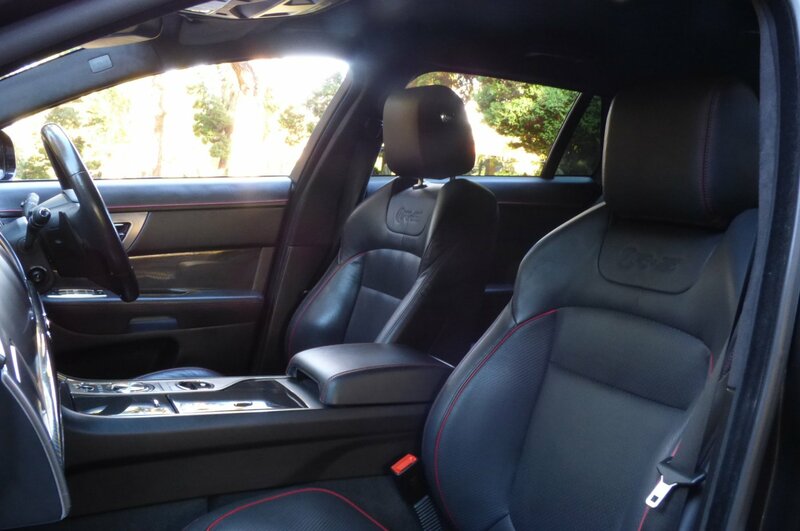 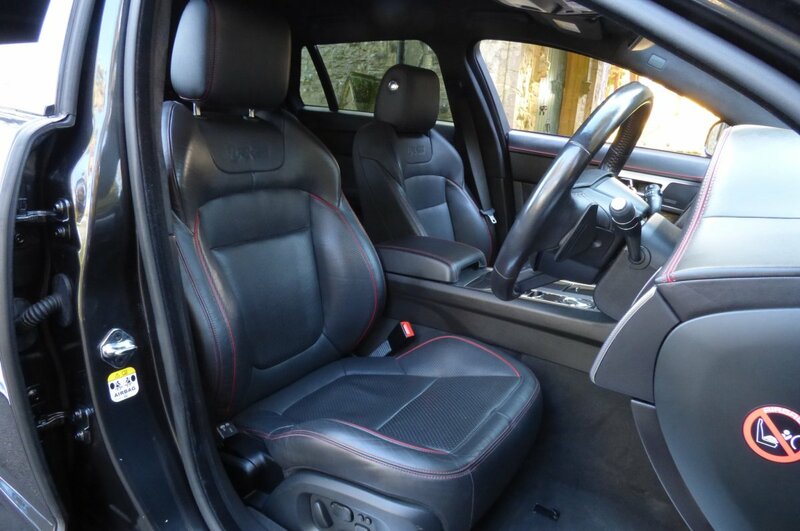 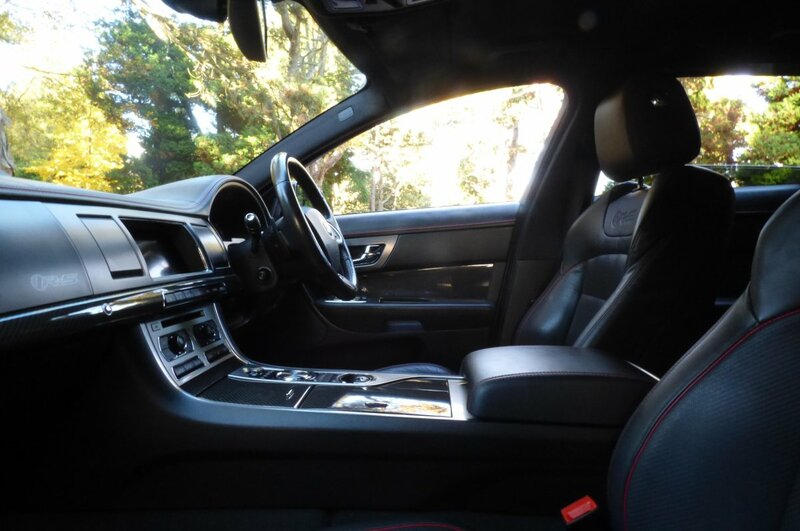 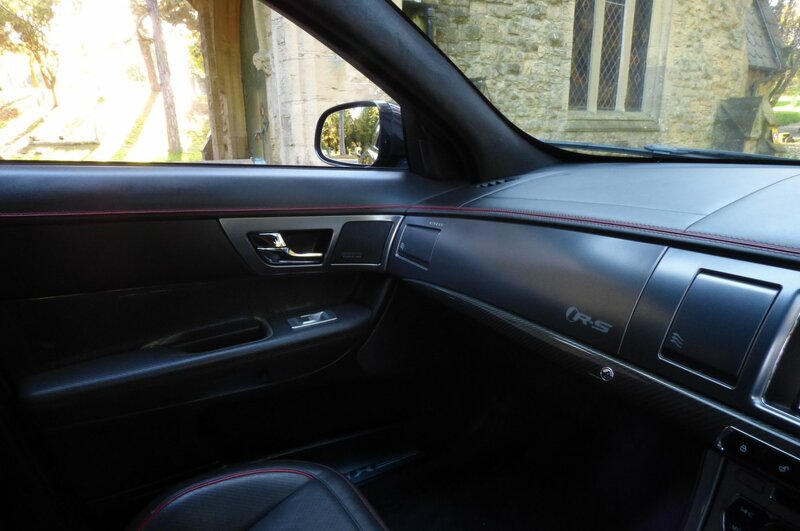 The Interior Offers An Air Of Extreme Excitement, Packed With World Class Jaguar Technology And Of Course That Stereo Typical Luxurious Jaguar Finish And Feel That Has Become Highly Desirable. 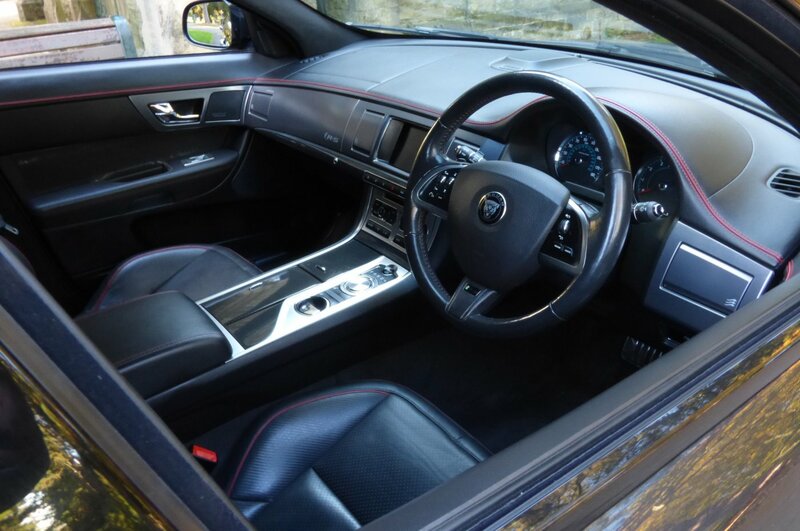 From Build This Example Is Presented With R-S Embossed Warm Charcoal Soft Grain Leather Sport Seats Beautifully Complemented With The Red Zone Twin Needle Stitch Detail And Red Piping, Black Carpets That Have Been Protected With Jaguar Over Mats, The Warm Charcoal Leather Trimmed Dash Detailed With Red Stitch That Wraps Around This Inviting Cabin Space, Carbon Fibre Internal Door Grab Handles, Black Suede Roof Lining, Black Leather Bound Drivers Centre Tunnel With The Black Leather Trimmed Drivers Arm Rest Detailed With Red Zone Stitch, RS Embossed Knurled Dark Aluminium With Carbon Fibre Interior Inlays, Black Leather Trimmed Door Cards, The Three Spoke Ebony Black Leather RS Multi Functional Steering Wheel With Paddle Shift, XFR-S Embossed Aluminium Door Sill Plate Covers, RS Embossed Black Driver Dials And Finalised With Further Carbon Fibre Exterior Detail. 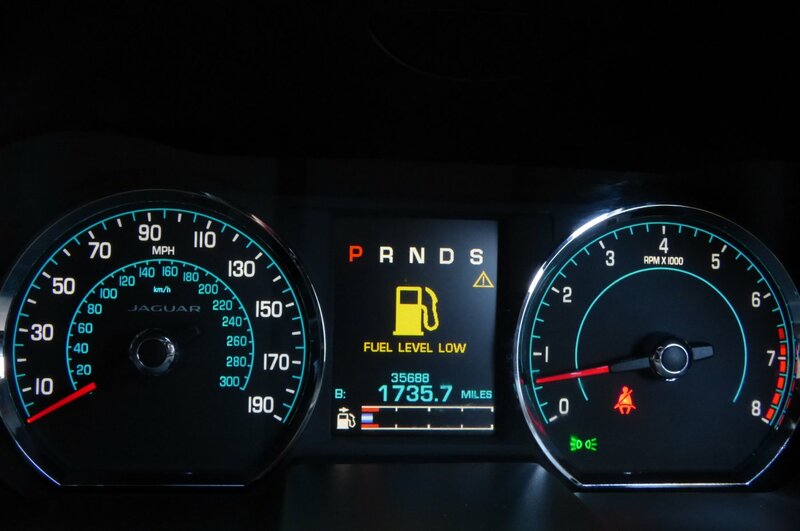 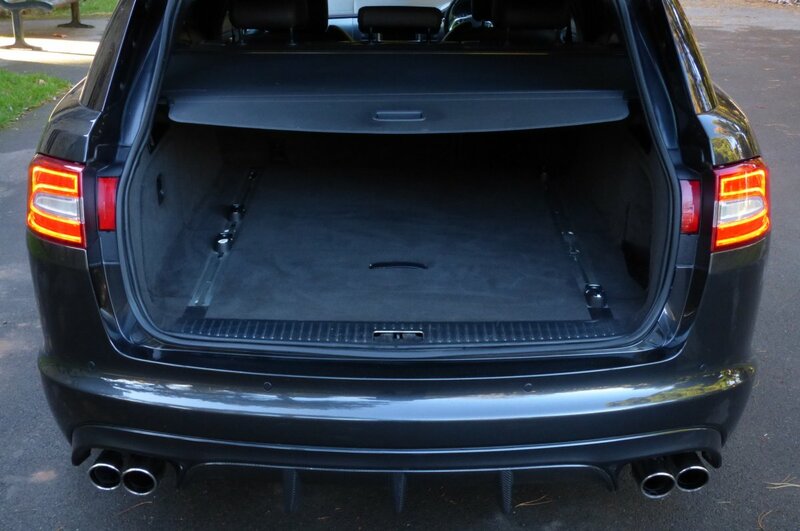 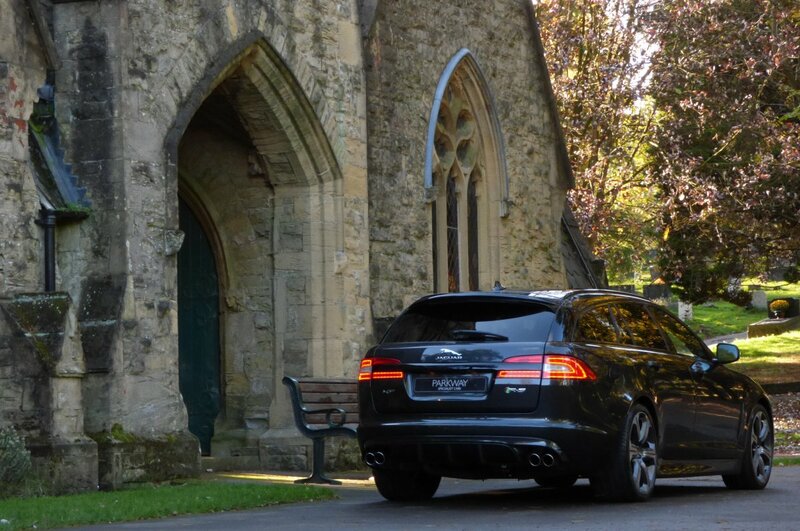 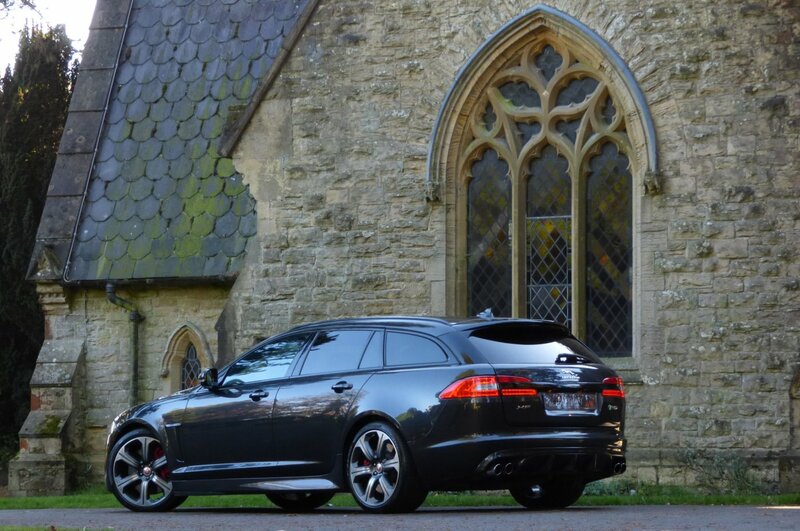 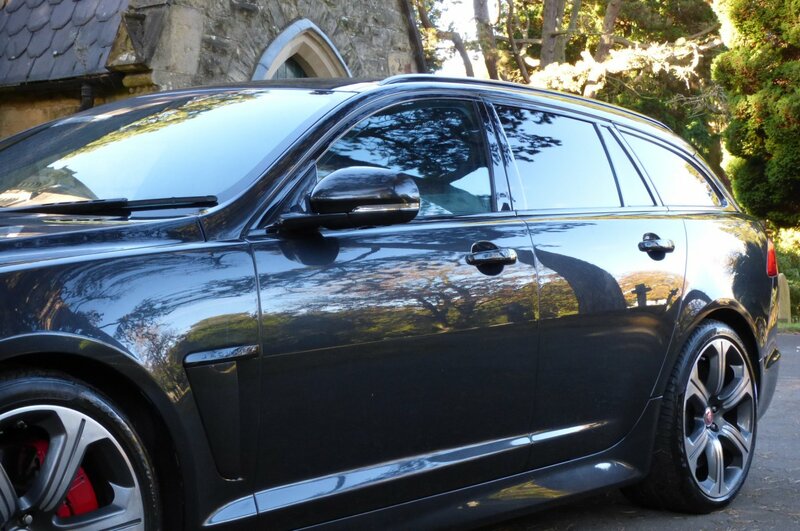 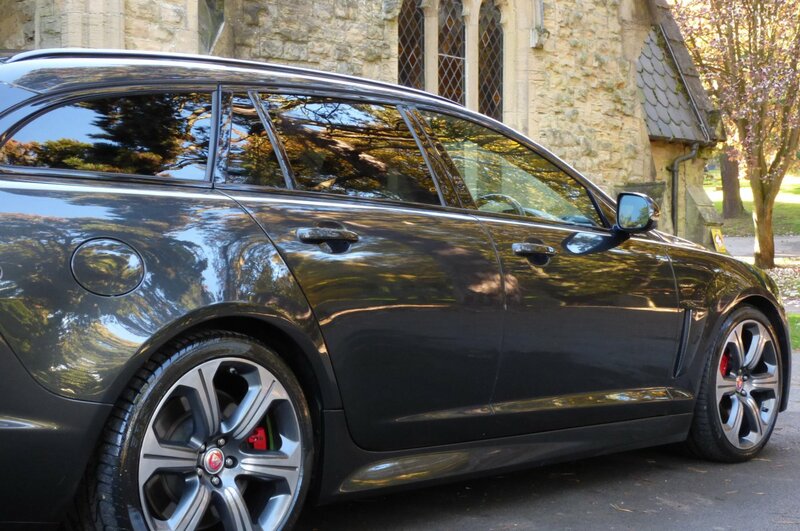 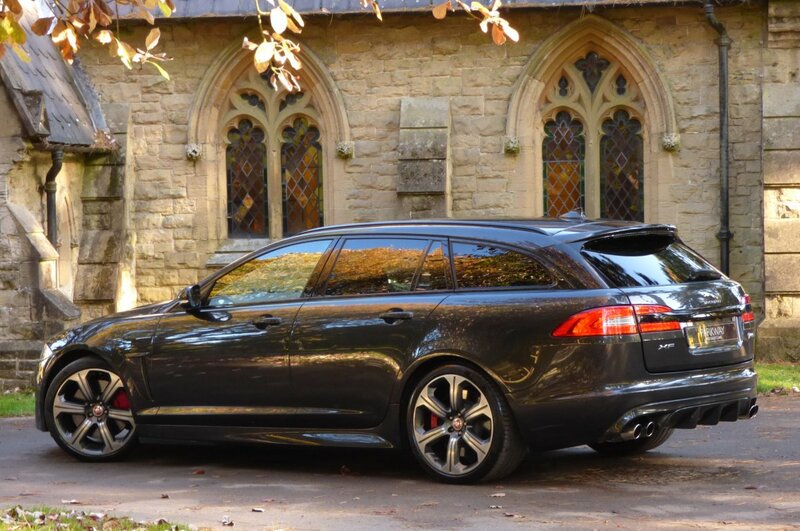 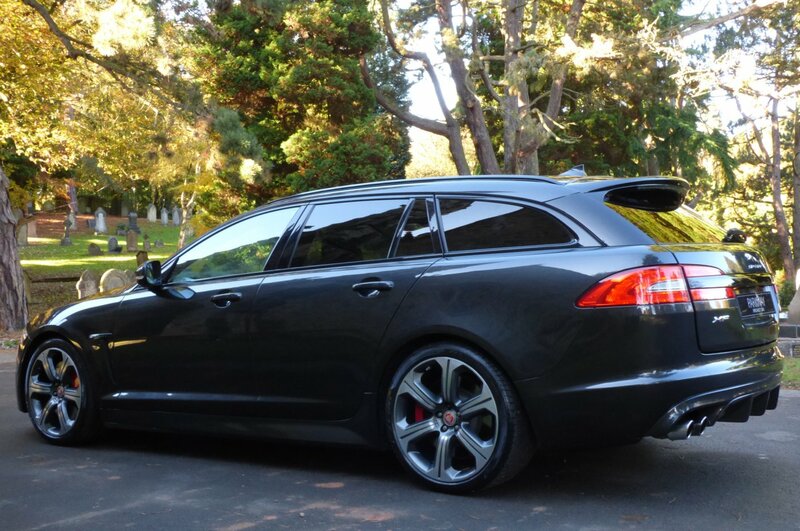 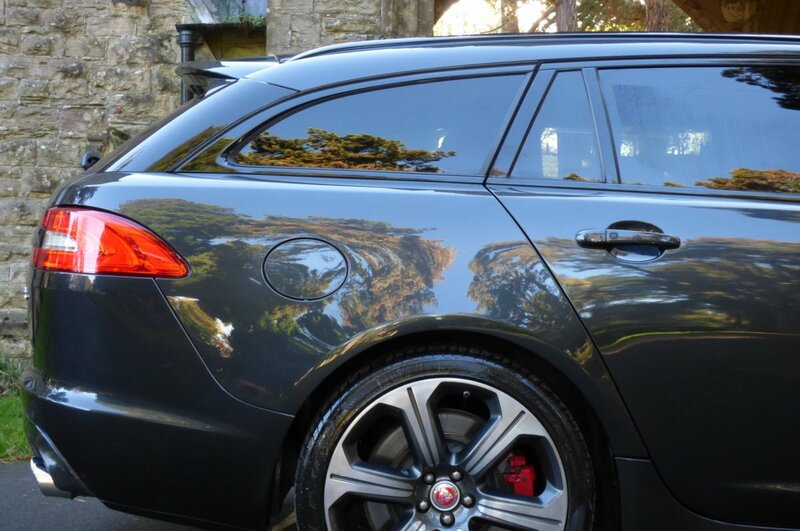 This Example Also Boasts An Excellent Array Of High End Jaguar Technology, Meaning That Every Adventure Is Perfectly Poised And High Enjoyable, No Matter The Distance Or Occasion. 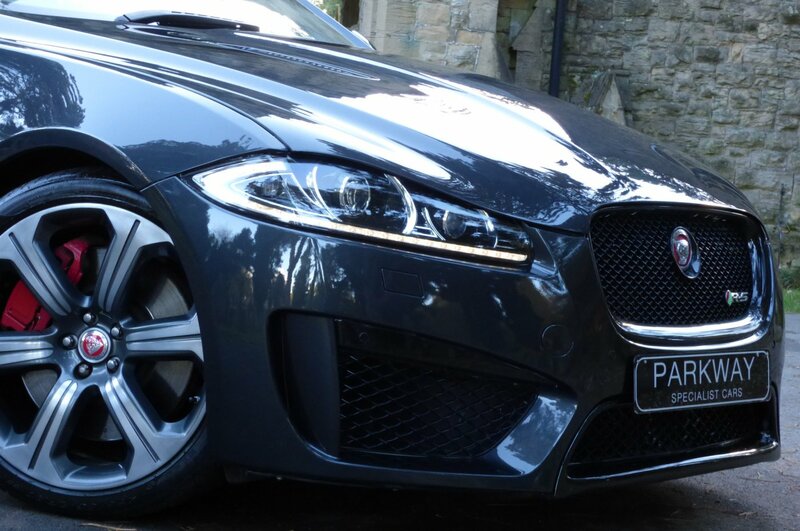 The Sculptured Exterior Is Presented In The Stratus Grey Metallic, Which Perfectly Showcases Those Gorgeous Jaguar Lines, The Powerful XFR-S Curves And Looks Sensational With All The Factory Carbon Fibre Exterior Detailing. 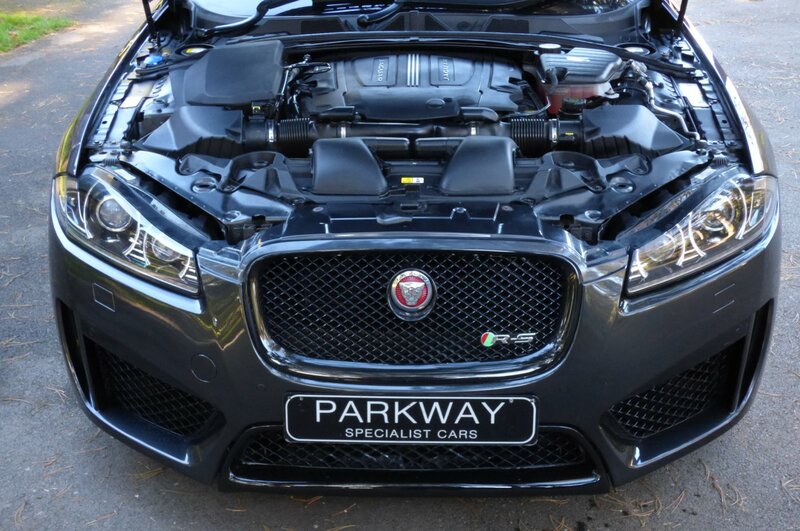 Further Exciting Detailing Is Presented With The Unmarked Gloss Black Ceramic 20" Varuna Lightweight Multi Spoke Alloy Wheels Which All Sit On Branded Tyres, Colour Coded Super Charger Embossed Bonnet Vents, Chromed Quad Exhaust Tips, Gloss Black Roof Rails, The Bright Red Oval Jaguar Badge That Dominates The Nose, Jaguar Embossed Gloss Black Side Wing Blades, Gloss Black Hexagon Front Grilles Decorated With The Powerful RS Motif, Bright Red Jaguar Embossed Performance Brake Calipers, Colour Coded Roof Mounted Shark Fin, Factory Sun Protection Privacy Glass, Colour Coded XKF-S Side Sills And Finalised With Those Signature Chromed Jaguar Badges That Complete This Aggressive Vehicle Stance. 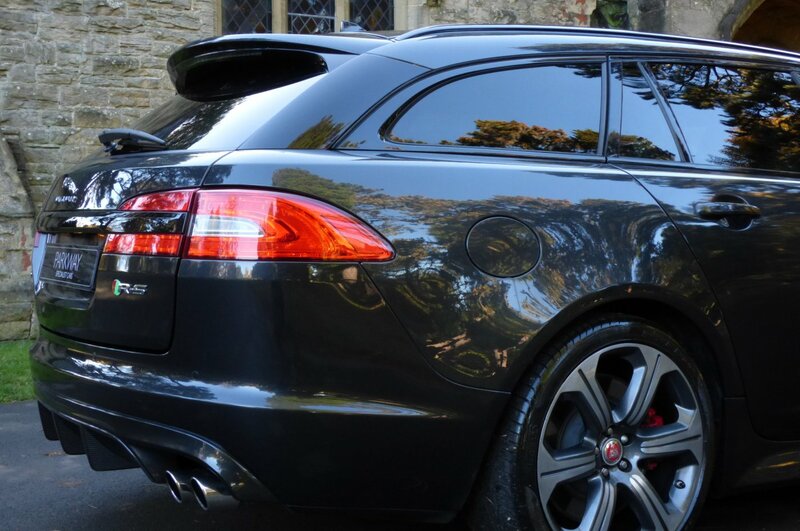 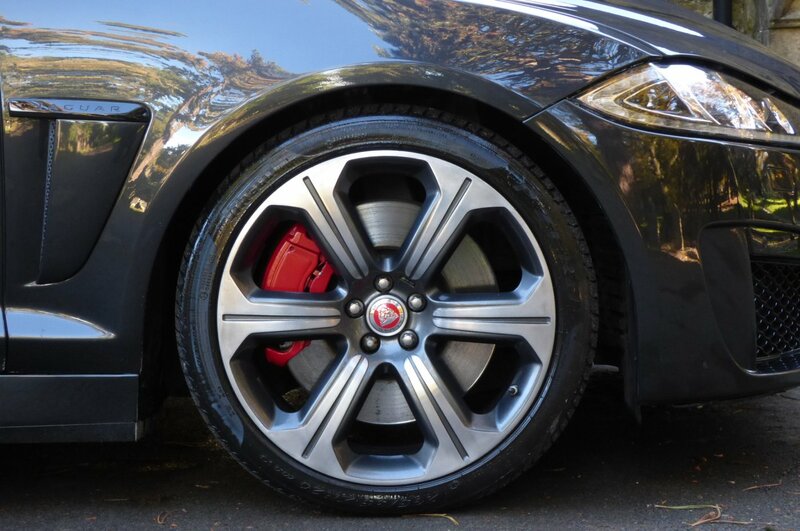 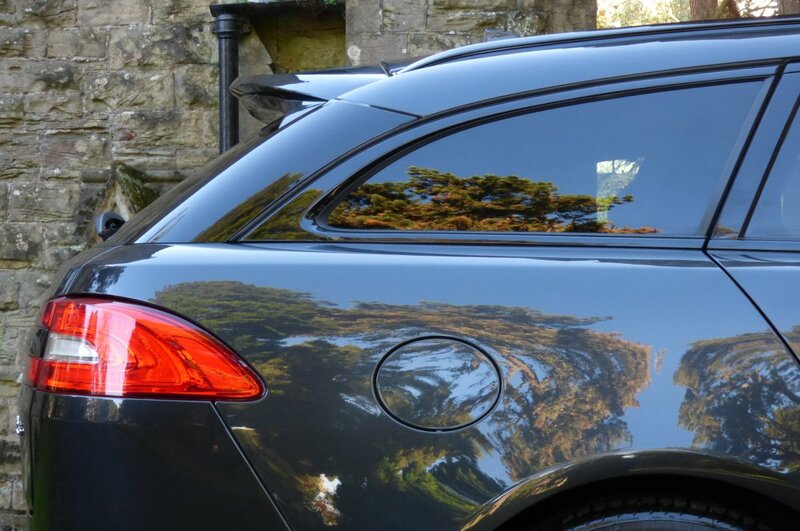 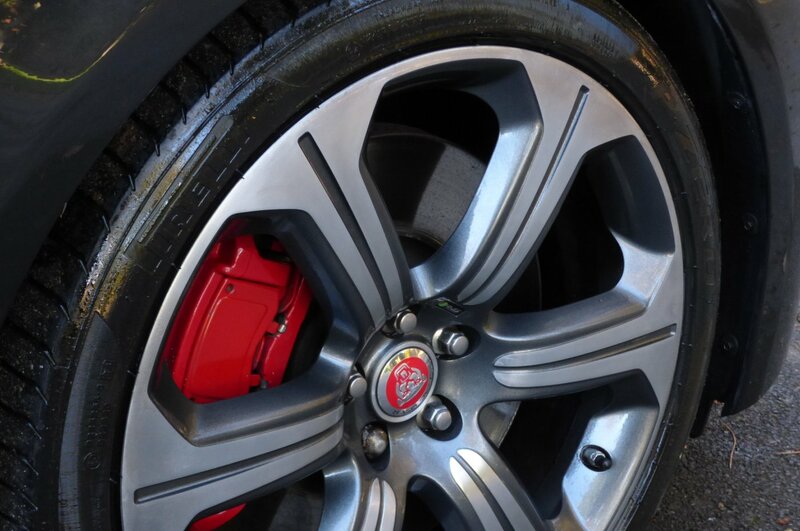 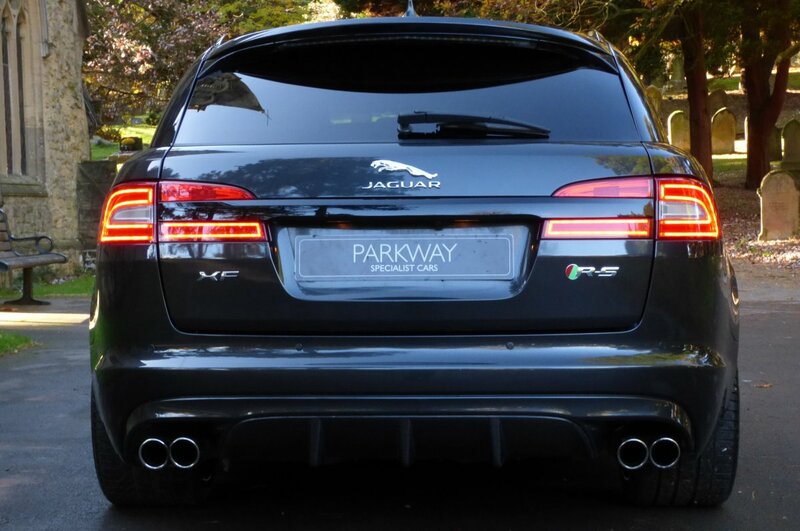 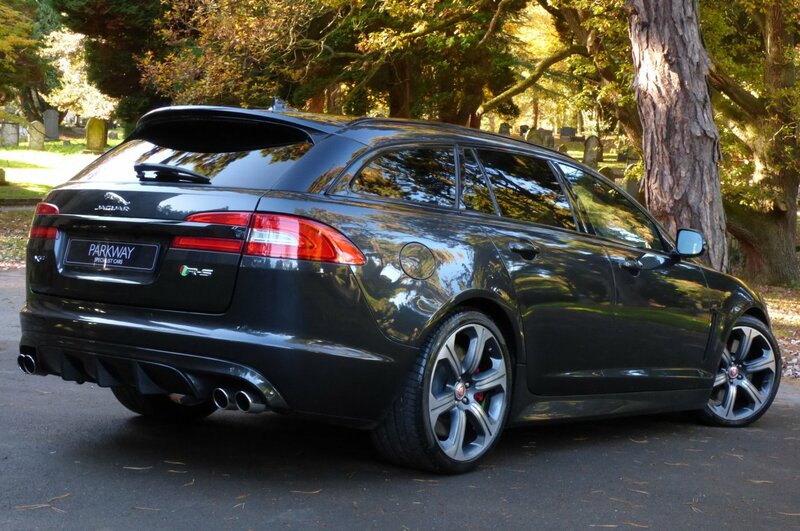 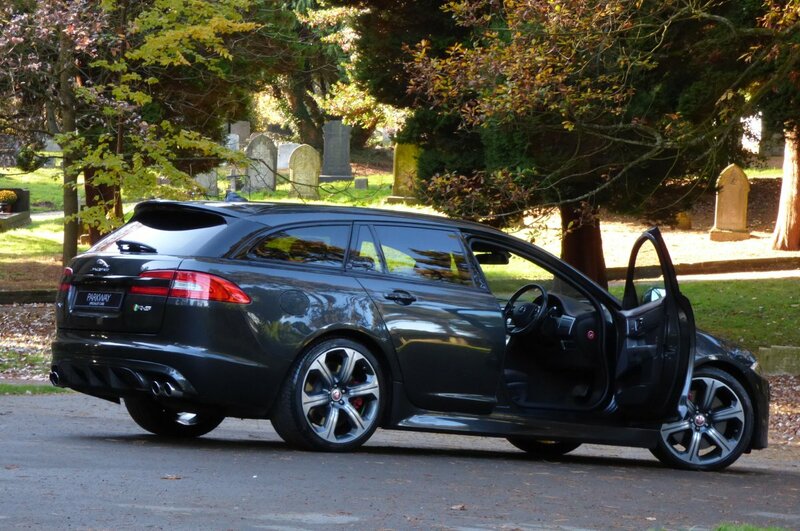 From Every Given Angle This Jaguar Looks Staggeringly Beautiful, Perfect For That Daily Drive Into The City Or As The Ideal Weapon To Tackle That Planned European Family Driving Holiday. 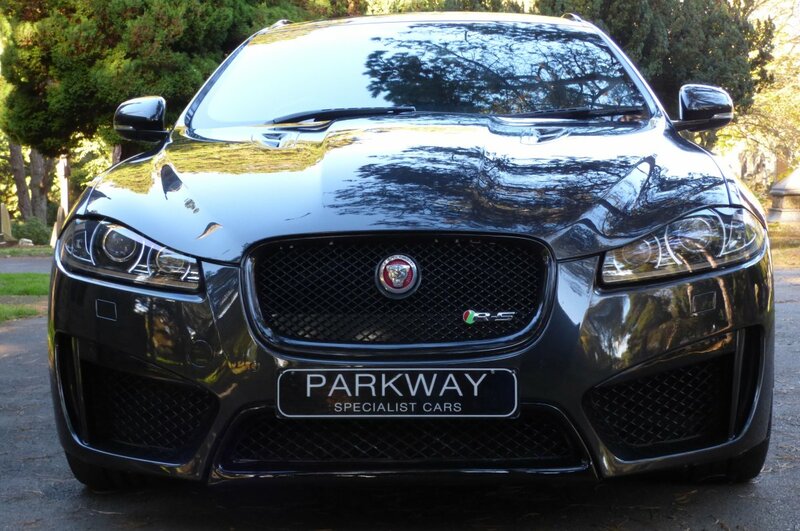 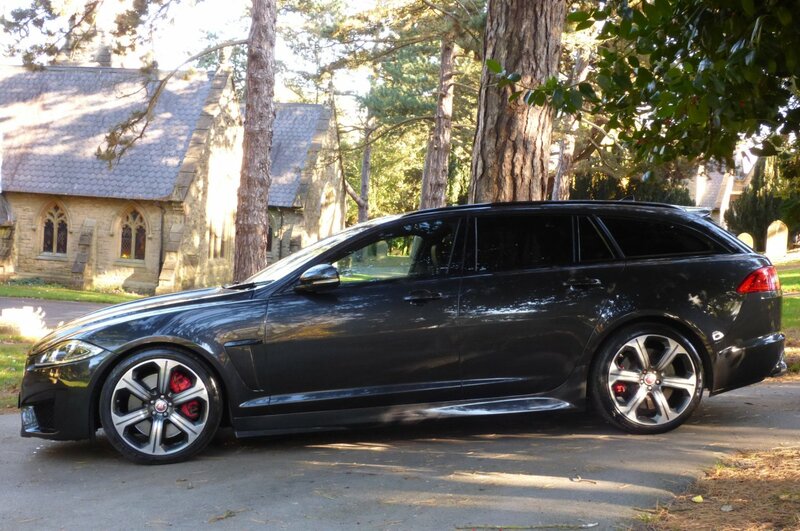 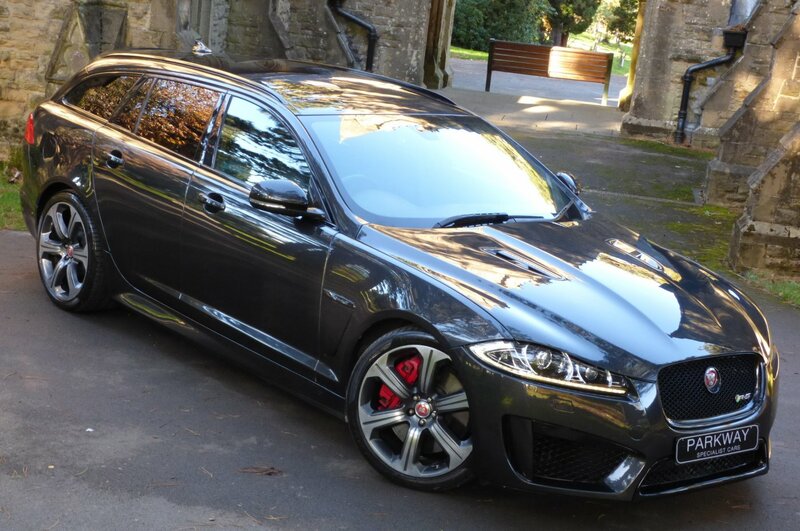 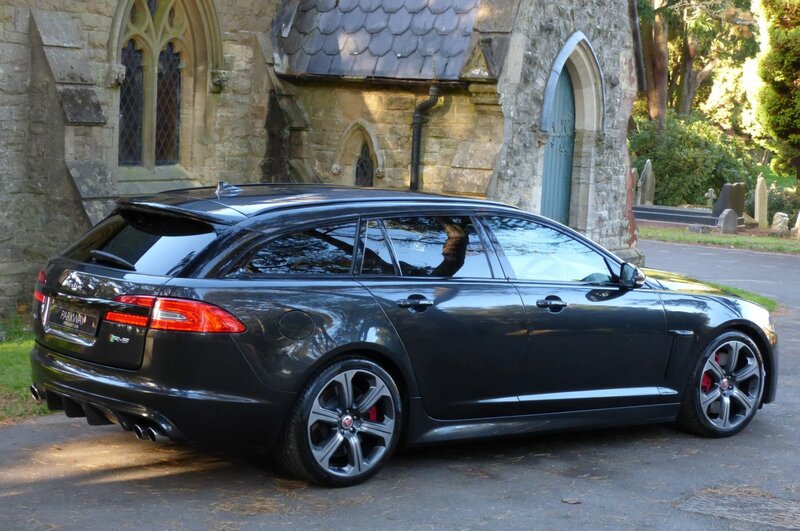 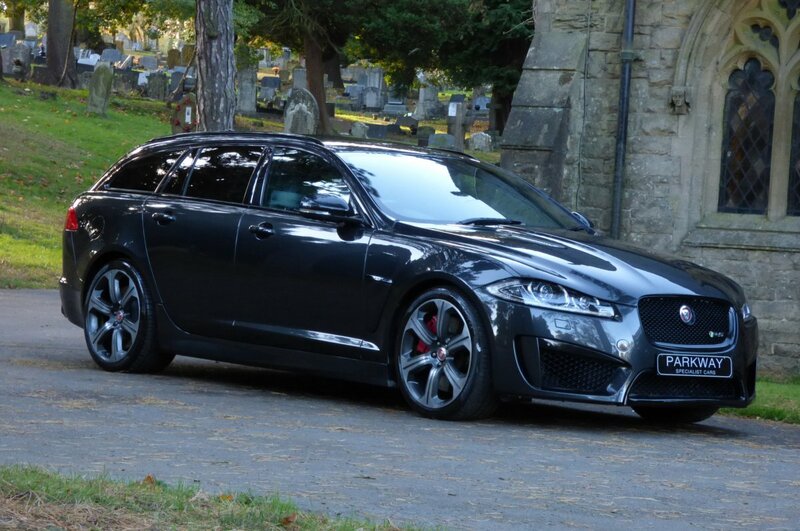 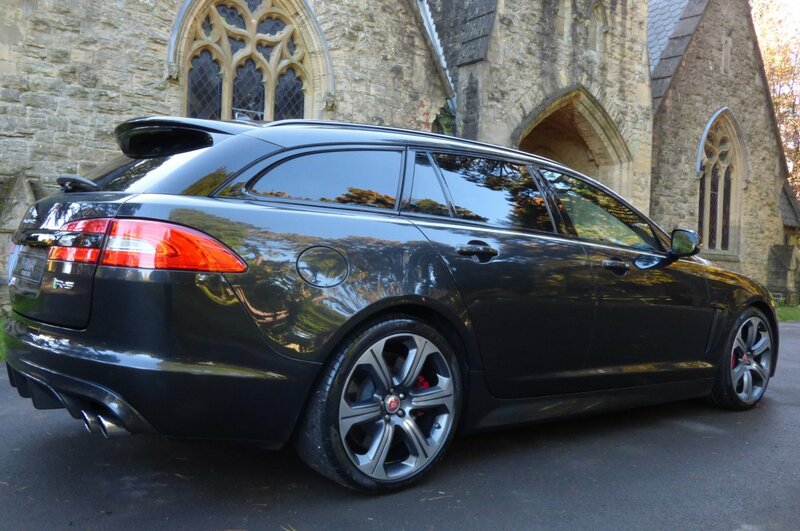 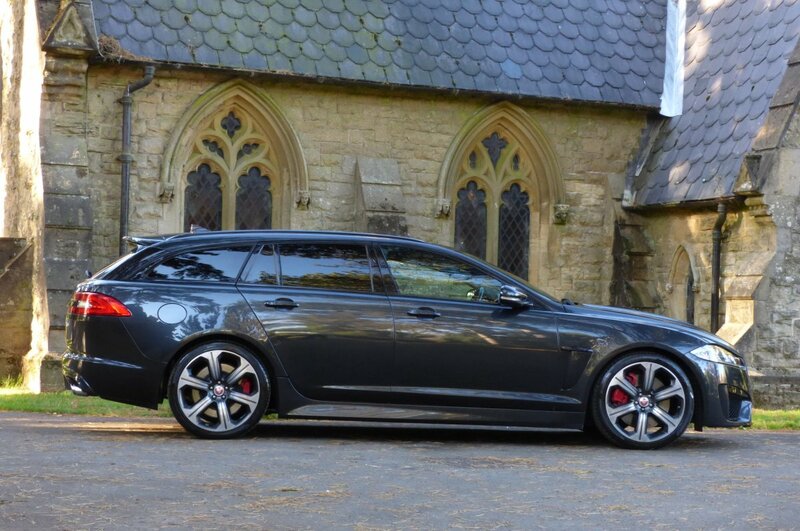 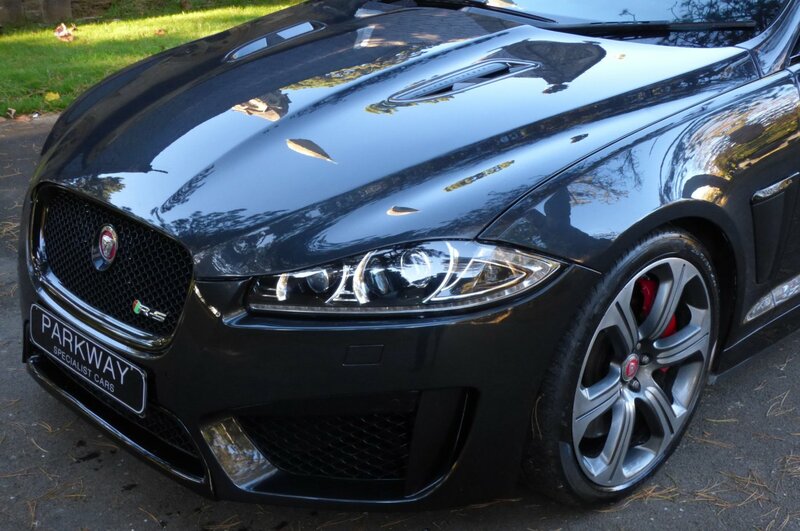 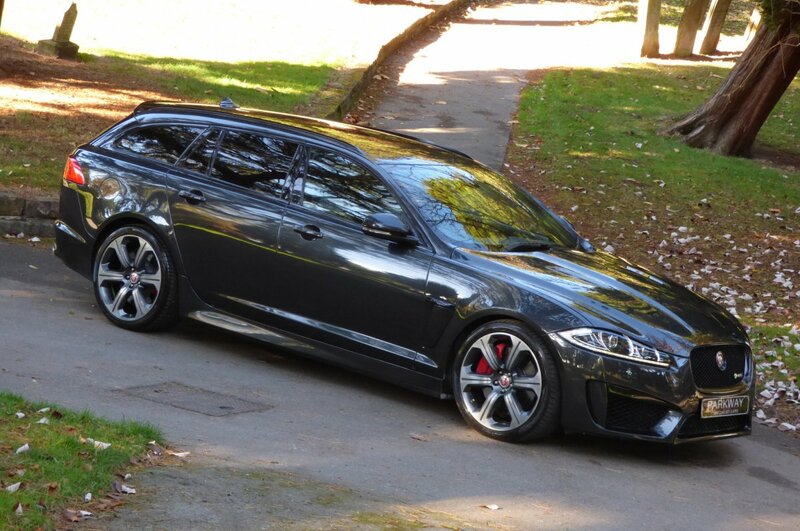 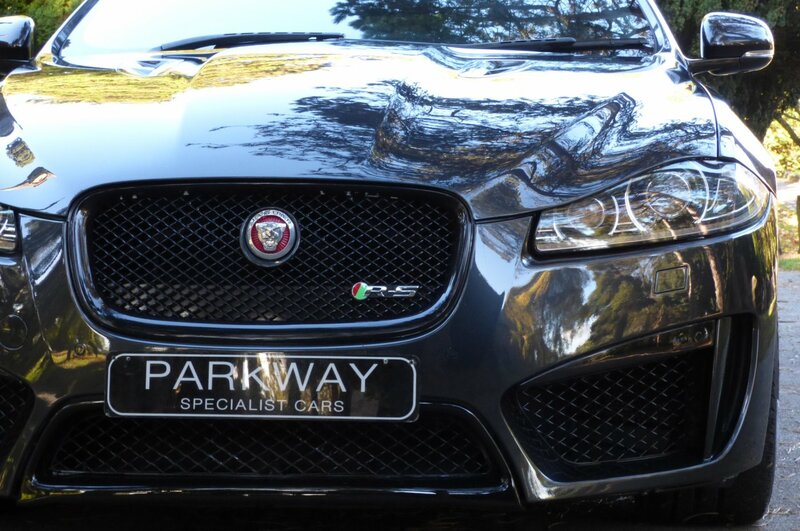 This Stunning Example Offers Excellent Options To Include The Full Colour Touch Screen With Satellite Navigation System, Dual Zone Climate Control, Unmarked Gloss Black Ceramic 20" Varuna Lightweight Multi Spoke Alloy Wheels, Bright Red Jaguar Performance Calipers, Power Boot Lid, Adaptive Xenon Headlights With Powerwash Function, Electric Front Seating With Driver Memory, Cruise Control, Variable Heated Seats With Cooling Systems, Daytime Running Lights, Front & Rear Park Distance Control With Colour Camera, DAB Digital Radio, Heated Steering Wheel, Jaguar Trip Computer, Rain & Light Packs, Meridian Sound Package, Blind Spot Monitoring, Continuous Variable Damping, Electric Folding Mirrors, Sports Tuned Suspension, Voice Active Controls, Bluetooth Phone Preparation, Heated Front Screen, Remote Central Locking With Alarm, Push Button Start, Theater Interior Lights And So Much More. 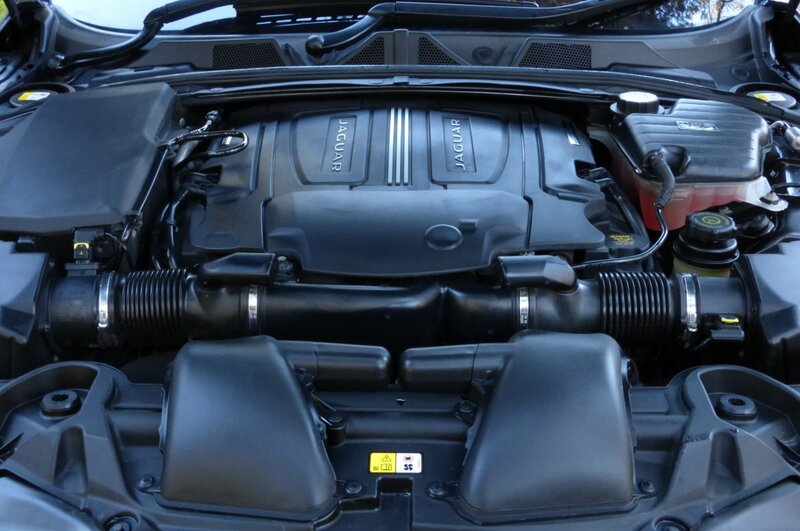 Presented With The Entire Booklet Pack Set, A Fully Cleared Hpi Report And The Full Key Set..